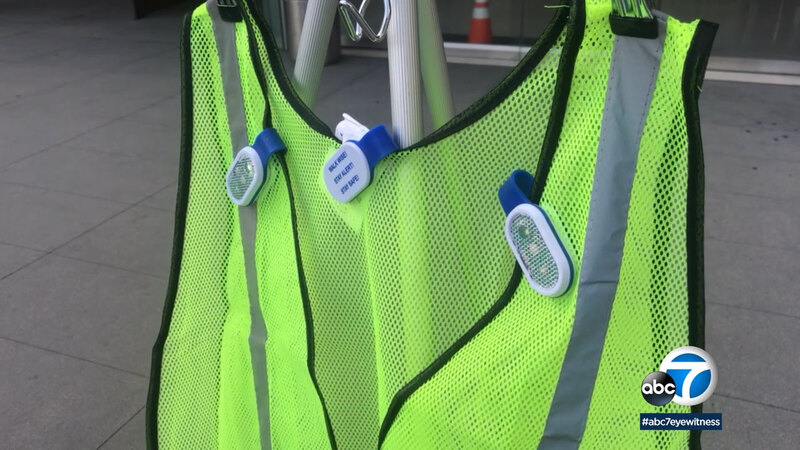 The LAPD is giving away reflective vests and lights to help improve pedestrian safety. LOS ANGELES -- The Los Angeles Police Department wants to protect pedestrians. It is launching the Pedestrian Safety Initiative. Together with Farmers Insurance, the LAPD will be giving away 1,200 reflective vests and 700 lights. Police will hand them out to pedestrians stopped for traffic infractions. According to the National Highway Traffic Safety Administration one pedestrian is killed every 1.5 hours in the United States. And another pedestrian is severely injured every seven minutes. The majority of those fatalities and injuries happen at night. California leads the nation in pedestrian deaths. Mayor Eric Garcetti has what he calls a Vision Zero plan: by 2025 he wants to reduce all traffic fatalities to zero in the city of Los Angeles.